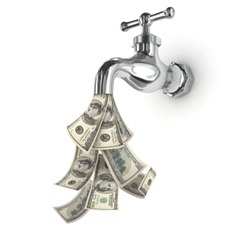 Have you ever missed growth opportunities because of cash flow constraints? Have you missed taking advantage of supplier discounts? Are you tired of being the bank for your customers? Imagine how you could improve your cash flow, and grow your business, if all of your customers paid you within 24 hours. Business Manager virtually puts you on a cash basis with all your customers, even if you extend credit to them. Business Manager is a complete system that more than 8,500 businesses throughout the United States have used for the better management of their receivables. American Community Bank purchases your existing receivables on a discounted basis, and takes over the responsibilities for billing your customers and collecting their payments. You get your money immediately! And because the program enables you to offer terms to your customers, you may increase the volume of your business as well. It's a "win-win" situation for you and the people who do business with you. If you would like to receive a demonstration of Business Manager, just contact us today. We'll help you get back to the business at hand! Choose the business checking account that suits your needs.